Thailand is famous as the land of smiles, the land of beautiful beaches, and the land of many exotic attractions. It is also famous as the home land of Thai Massage. If you have not been to Thailand yet, you might not even know what Thai Massage is, but as soon as you arrive, you will see it all around you. It will find YOU, mostly in the form of massage therapists trying to entice you to enter their shop. Almost every hotel either offers Thai Massage or can arrange for therapists to provide this service in your room. Most populated beaches have plenty of massage offerings, ranging from a simple mat under a tree to massage tables under a shade roof, and all in plain view of everyone. No privacy is required, since clients can keep their clothes on. Every year thousands of foreigners come to Thailand to learn this exotic art. 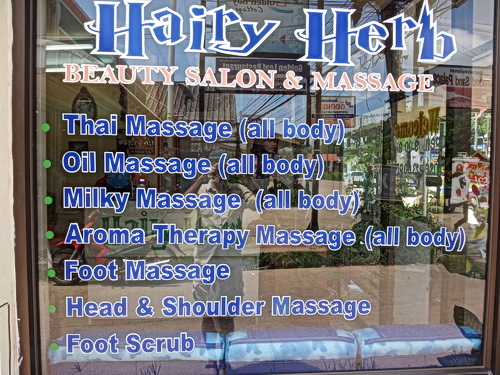 And often my readers ask me what the best place is to learn Thai Massage. There is no clear cut answer to this questions, but I can offer some useful guide lines. First question: How important is being on a beach to you? Do you want to enjoy a beach scene or are you okay with being far from the beaches? This will determine your location. All beaches are only in the southern part of Thailand. There are Thai massage schools on the bigger tourist islands like Ko Samui, Ko Phangan, or Phuket, however all the big prestigious schools are in the central and northern part of the country, far from any beaches. Second question: Which city do you want to be in? 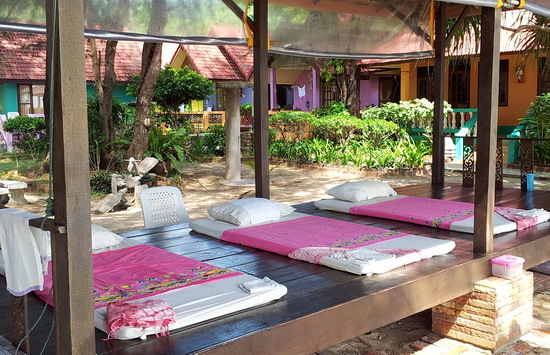 Let’s say you resolved the beach question by deciding that you want to go to one of the two main Thai Massage learning centers, Bangkok or Chiang Mai. Which should you choose? Bangkok is the location of Wat Pho, one of the most famous Thai Massage schools in the country. Chiang Mai has several very well known schools (ITM, Old Medicine Hospital, TMC, Sunshine Network) and dozens of smaller ones. They all offer a good curriculum. It comes down to where you feel most comfortable. Bangkok is a huge polluted city. There is good public transportation, but it still takes a long time to get anywhere. Chiang Mai is a much smaller and more compact city. It is much easier to get around in. If you stay in the city center, you can navigate most areas on foot. Chiang Mai is considerably cheaper than Bangkok, and you have a much bigger choice of Thai Massage schools. Another point in favor of Chiang Mai is that that there are lots of attractions within a radius of a few kilometers of the city. If you want to receive lots of massage, you will pay less in Chiang Mai than in Bangkok. Third question: Did you consider your timing? Thailand has two main seasons, the dry and the rainy season. There are variations between the different areas of Thailand. You could say that some areas have a cool season, but for most westerners even the cool season will still feel quite hot. If you want to stay in the south where the beaches are, December through March would be a great time. That’s the dry season. However it is also the main tourist season and accommodation prices will be the highest. I recommend avoiding Bangkok during the main rainy season between June and September. Chiang Mai’s rainy season happens at the same time but it is less intense. However there is one very important consideration. During March and April Chiang Mai’s temperatures resemble the inside of a pizza oven, and on top of that there is lots of agricultural burning going on in the mountains all around the city, making Chiang Mai the most polluted city in Thailand during that period. During these months the air quality is so bad that it is a real health hazard. Combined with the heat, it is no fun at all. The best time to study in Chiang Mai is from November through January. That’s the winter season. It hardly ever gets really cold. During the day it is quite warm and even hot, but the evenings are pleasantly cool. Personally I like the rainy season. That would be my second choice. The clouds keep the heat down and the rain cleans the air. It rarely rains for extended periods of time. But it’s not the perfect choice for sun worshipers. You can see that the timing for your Thai Massage training is crucial. There is no one right answer. It all depends on what you are comfortable with, how much heat you can handle, and how much the rain bothers you. Overall Chiang Mai would be my recommendation for best school choices, lowest cost of living, most things to do, and most interesting place to be. 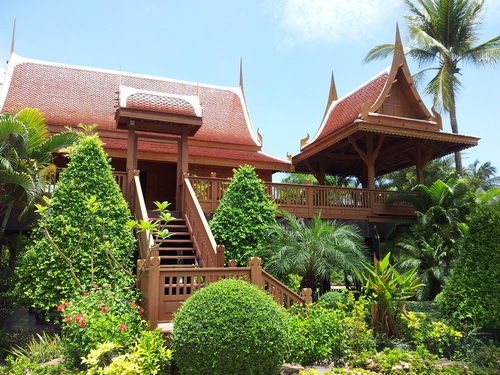 Before you decide to study Thai Massage in Thailand, consider the alternatives. This article points out the pros and cons of studying in Thailand versus in the western world. If you don’t know much about Thai Massage, here is a free video course which will give you a good understanding of this modality. If you already have experience with massage or yoga, you can get a big jump start by going through a quality Thai Massage home study program first. This will prepare you much better for your Thailand training and reduce the amount of money you will need to invest in live training. The author, Shama Kern, has been living in Thailand for over a decade, and has been teaching Thai Massage for 18 years. What Exactly is Thai Healing Massage? Thank you so much for this 🙂 I was thinking about going to Bangkok and the famous Watpo temple school, but I shall have to reconsider… which school(s) in Chaing Mai would would you recommend, Shama? I come with professional, Western skills in massage, and would like to learn more in depth about thai massage as well as thai medicine and therapy. Looking forward to your advice. Any tips on certification school there in tailand and how would I be able to practice here in New York with that license?